The borders between Argentina, Brazil and Paraguay where the Parana and Iguazu rivers merge is a hot zone rife with organized crime. This is the kind of notorious region ideal for inspiring thriller film scripts with plots centered around the gritty South American drug trade. The particular script in mind has been written by Oscar-winning scribe Mark Boal (The Hurt Locker) for the upcoming film Triple Frontier. Triple Frontier has suffered its fair share of setbacks on the route to production with a change in director and various leading actors showing interest before backing out. 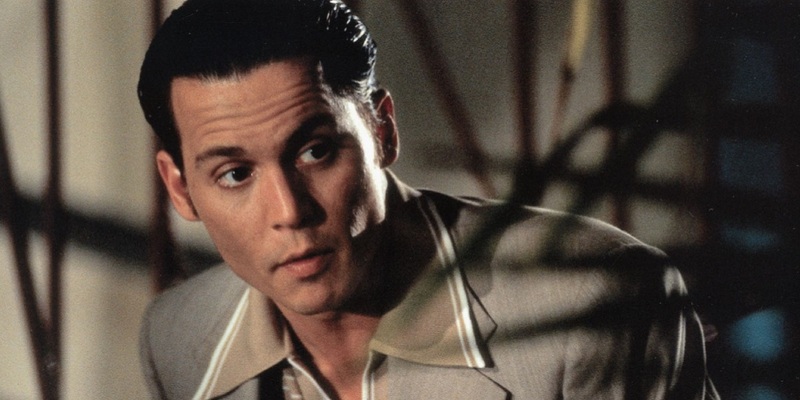 Despite this, Paramount continue to forge ahead with their crime thriller and are reportedly back in talks with a previous possible lead with recent experience regarding organized crime content: the chameleonic Johnny Depp. Variety have reported that Depp is once again being circled for a key role in Triple Frontier, so the kind of character he would bring to life is up for speculation. The movie is expected to be a gritty rendition of the sinister underworld that has inspired Boal's script due to the writer's celebrated style. Meanwhile Depp has just received a SAG award nomination for his depiction of mobster Whitney Bulger in Black Mass and has previously worked with South American drug trade and crime plots in his movies Blow and Once Upon A Time In Mexico. He has several projects due for release in 2016 including Alice Through The Looking Glass and Kevin Smith's Yoga Hosers. He also just completed filming the latest Pirates Of The Caribbean franchise installment, Dead Men Tell No Tales, set for release in May 2017. Triple Frontier was originally set to be directed by Boal's producing partner Kathryn Bigelow under the title Sleeping Dogs. However Bigelow's vision for the project never came to fruition and Paramount have recently secured J. C Chandor (A Most Violent Year) to helm the project instead. Depp initially showed an interest in the movie while Bigelow was still attached and several other high profile actors have also been considered for roles, including Christian Bale, Will Smith, Javier Bardem, and Sean Penn. Tom Hanks was a big name that was officially attached to Triple Frontier in December 2015 before Bigelow passed on the project, but his continued involvement is not currently certain. Johnny Depp has hinged his incredible career on his innate ability to seamlessly transform into any character - no matter how otherworldly or eccentric. Considering his range, characterization is less acting and more like metamorphosis. Knowing this, the addition of Depp to Triple Frontier would be forming another layer of gravitas to a project that possibly already has the solidity of Tom Hanks, a reportedly stellar script and adept new director. With Oscar winning director Bigelow now out, Triple Frontier needs a strong cast to maintain the expected level of potential this exciting concept and script began with. Someone as strong as Depp could be just the draw this film needs and it is always interesting to see what unique quality he will bring to the roles he chooses. We will continue to keep you up to date with news of Triple Frontier as it develops.